EMPLOYERS! We’re updating the Staff Housing Guide just in time for the busy summer season! This guide provides job seekers with a better understanding of the availability, type and quality of staff housing in the Bow Valley. Participating in the guide gives employers a competitive advantage in attracting and retaining quality staff in our competitive labour and housing market. Spring 2019 Labour Market Review is out! The Job Resource Centre’s Spring 2019 Labour Market Review is ready. This review includes the latest information on job market trends in Banff, Canmore and the Bow Valley. Wondering what’s changed over the years? You can view our previous Reviews here. If you’d like to receive our next fall edition by email, sign up for our Labour Market Review mailing list and receive Spring and Fall updates! After meeting employers and handing out your resume at the Ski Hiring Fair, are you wondering what to do next? Here’s a list to help you plan out your next week in Banff. 1. Follow up. Remember those business cards you took at the ski fair? Send an email to or call managers you spoke with to! Let them know you are still interested in working at their company and that you enjoyed meeting with them. 2. “When do I follow up?” Good question! It’s Thanksgiving on Monday, and a holiday in Canada, so most managers will not be working Saturday, Sunday, Monday. We’d suggest waiting to follow up with employers until one week after the fair. 4. Take time for yourself. Job searching can take up a lot of energy. It’s important to take time for yourself and do something that makes you happy. Enjoy your time in Banff before you are working full time – visit the hot springs, go on a hike to see the larches, climb Tunnel Mountain (before it snows again!) This will also help give you energy that will help your job search! 5. Think back and reflect. Now that the ski hiring fair is over, look back at your experience. What did you learn? What would you change for your next job application? Does your resume need to be improved? 6. Get ready for your interview. When that manager calls will you be ready for your interview? Talk to our team about how to prepare for common interview questions. 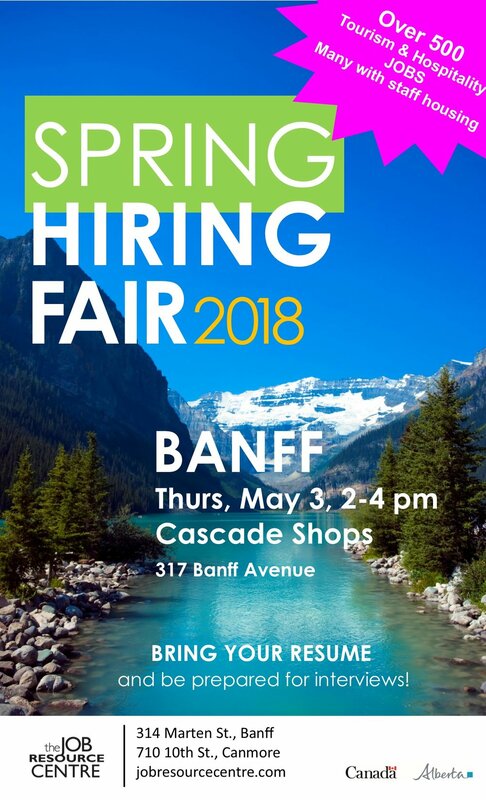 Want to get hired at the Banff Ski Hiring Fair?! Come to our free workshop and find out how to prepare for the Banff Ski Hiring Fair. How do you introduce yourself in under one minute? What kinds of questions will employers ask and what are they looking for? Is your resume good enough to stand out from the crowd? Sign up and find out how to do your best at the fair - and find your job faster! Want a ski job this winter?! Mark your calendars for our annual Ski Hiring Fair in Banff on Thursday, October 4. We’ll have recruiting teams on site from Sunshine Village, Lake Louise Ski Resort, Mount Norquay and Nakiska hiring for some fantastic winter roles! Need help creating a great resume that will impress employers on the big day? Visit our offices and speak with our team for free resume advice and insider tips on how to impress employers! Looking for a job in Canmore? Need a job where you can work with a great team and meet customers from around the world? Dress to impress and stop by the Canmore Job Resource Centre (710 - 10 St) this afternoon, 1:30-3:30 p.m., to meet the recruiter for McDonalds. They'll be looking to fill 15 full-time and part-time positions. Need staff housing? They have that too! Take your career to the mountains! 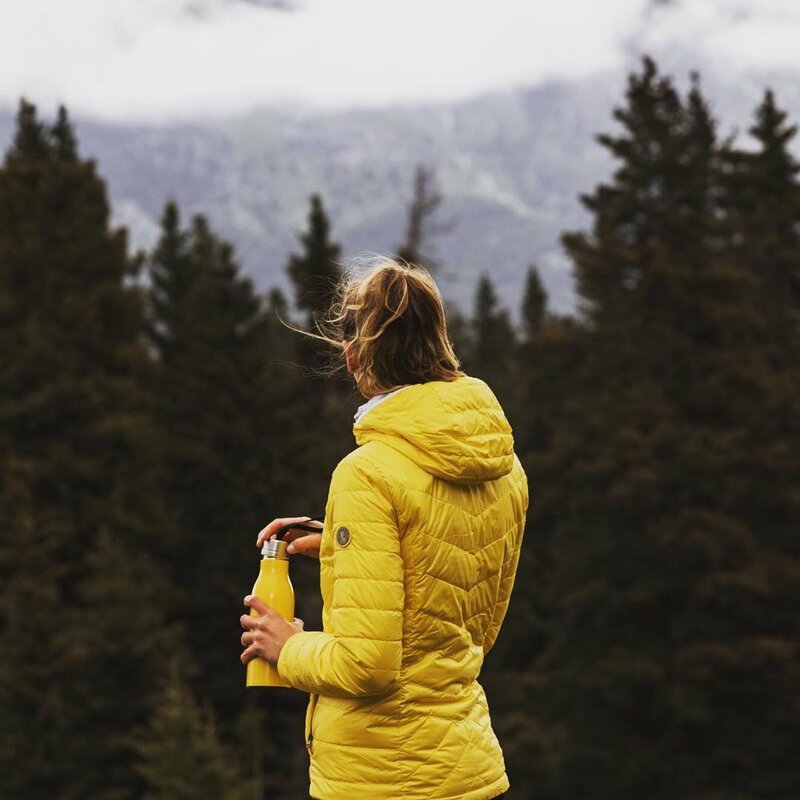 Did you know there's a new Lole Women store opening in Lake Louise? They're looking for a store manager and sales associates to kick off the grand opening this summer. Interested?! Visit our Banff office this Tuesday, July 10 for a hiring event with the Lake Louise Lole team! Questions? Need resume help? Contact our team and see how we can help you land that job! Great opportunity to chat face-to-face with an employer. Bring your resume! Great opportunity to meet a Lake Louise employer. Come to the Banff Job Resource Centre Tuesday! Work and play in Lake Louise this summer. Some of the best jobs are hiding in plain sight!